DC has been working behind the scenes in Madison County for the past two decades, ﬁrst with the county and then with the Madison County Housing Authority. 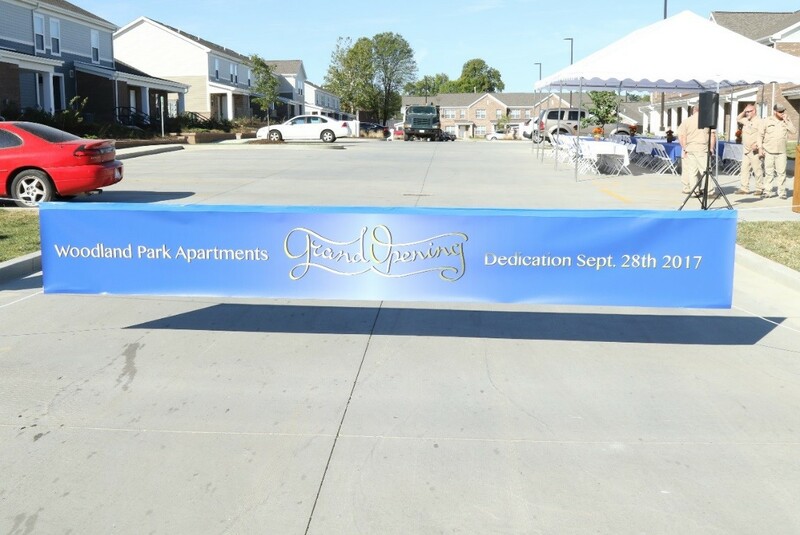 NDC’s development and development assistance in Madison County, IL, has helped leverage over $100 million in aﬀordable housing. Our work in Madison County started with the redevelopment of Humboldt School in Alton, followed by the Greenwood Apartments, Madison Senior Apartments and the Washington Avenue Apartments. These were wonderful projects developed by former NDC Field Director and current Board Member, Mr. John Downs. However, no matter how transformative these projects were, the need for quality affordable housing in Madison County remained considerable. NDC wanted to find a strong community partner who could sustain the redevelopment process, and provide long term, quality management and oversight to both our projects and future developments. The MCHA was the obvious choice. NDC’s role in subsequent projects has been primarily as a development consultant providing technical assistance and development services to the MCHA, helping their staff build capacity while improving, rehabilitating and constructing affordable housing. Previous projects with MCHA included the Meacham Crossing Apartments – 2008, Gateway Apartments – 2012, the May Apartments 2015, and most recently, the Woodland Park Apartments completed in 2017. Each project has had its own unique challenges – Woodland Park was no exception, with budget issues, regulatory delays, and staff departures. Despite the hardships and difficulties encountered, NDC field staff, with support from NDC’s leadership and CEF, continued to work with MCHA to mitigate each obstacle. The Woodland Park Apartments consist of 80 units of family housing comprised of one, two, three and four-bedroom townhome style apartments. It replaced the Northgate Apartments, a 99-unit, 1960’s era public housing development located on the same site. MCHA transferred the Northgate complex to an MCHA affiliate through the HUD disposition process, abated the asbestos siding and demolished the buildings. Tenant relocation vouchers were provided to all previous Northgate residents. NDC was there each step of the way, helping to structure the project financing, apply for tax credits, assist with HUD mixed finance submittals, review development concepts, draw requests, etc. Phase I of the Woodland project was completed in September 2017, with Phase II completed in early November 2017. The entire project was fully leased by year-end. Woodland residents have access to a community room, computer lab, outdoor pavilion, two playgrounds, and beautiful new apartments with energy star appliances including dishwashers, with washers and dryers in every unit.